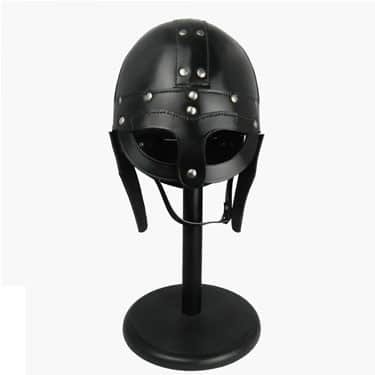 Well made helmet that has the authentic Viking look. Lighter and more versatile than steel. 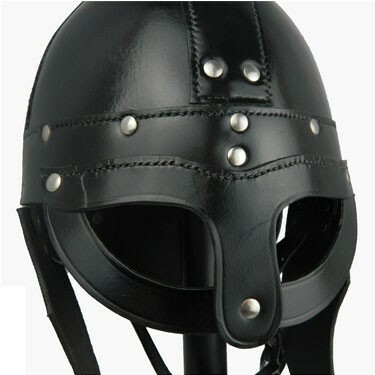 Made from thick harness grade leather and copied from one of the steel helmet designs. Has an adjustable liner with 65cm inner circumference.